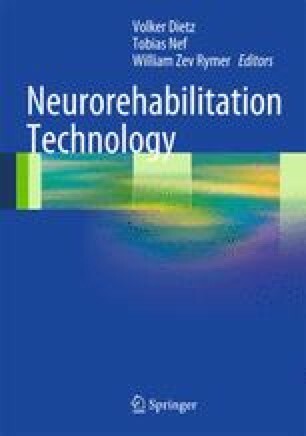 Robot-aided gait training in stroke survivors and spinal cord injury patients has shown inconclusive effects on walking ability. It is widely acknowledged that the control and design of the robotic devices needs to be further optimized to be able to provide training that fits better into modern insights in neural plasticity, motor learning, and motor recovery and in doing so improves its effectiveness. We will go more deeply into the need and scientific background for improvements on active participation, task specificity, and the facilitation of different recovery mechanisms. Subsequently, we will discuss recent advances that have been made in the control and design of robotic devices to improve on these aspects. Hereby, we will focus on the robotic gait training device LOPES that has been developed within our group. We will discuss how its design and control approach should contribute to improvements on all of the aforementioned aspects. The feasibility of the chosen approach is demonstrated by experimental results in healthy subjects and chronic stroke survivors. Future clinical testing has to demonstrate whether the outcome of robot-aided gait training can indeed be improved by increasing its task specificity, by the active contribution of the patient, and by allowing different movement strategies.